SmartRV will have its biggest ever display at the Covi SuperShow next week. 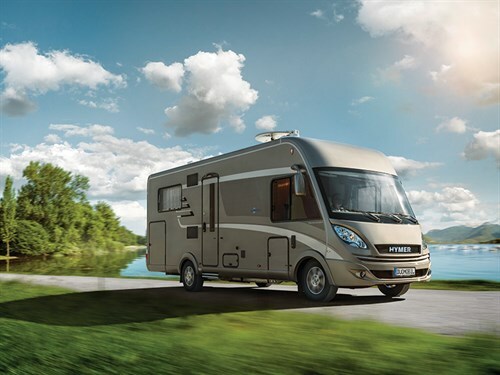 The company is showcasing more than 25 RVs featuring Carado, Burstmer, and Hymer from its range of European motorhomes. The Hymer Duomobil integrated motorhome will be a special feature of SmartRV’s 2018 stand at the Covi SuperShow . It is tailor-made for couples and features a dual function cab/bedroom, a living area with a U-shaped seating group with panoramic window at the rear and a kitchen with plenty of worktop space. The motorhome has found countless fans since its was launched in 2014 and expected to be a hit in New Zealand. Visitors at the Covi SuperShow will also have the chance to see Bürstner’s revolutionary ‘Wohnfühlen’ interior design up close in the new Lyseo Harmony Line models that arrived in New Zealand in late 2017. ‘Wohnfühlen’ translates to ‘well-being’ or ‘comfortable living’. The new model offers more spacious designs and relaxed yet stylish interiors.